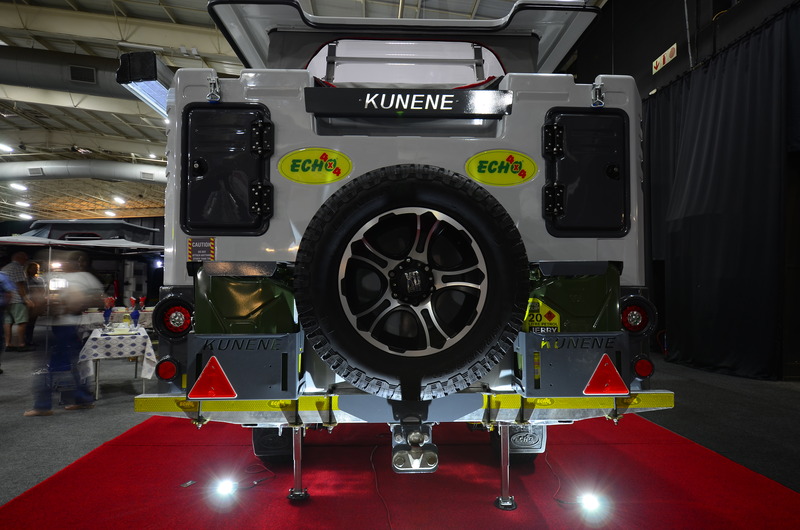 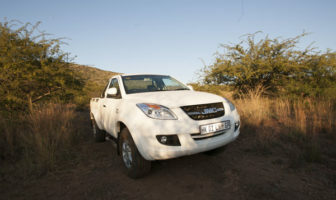 It was with much fanfare that Echo 4×4 launched the latest addition to their range, aptly named the Kunene. 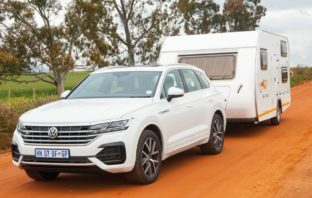 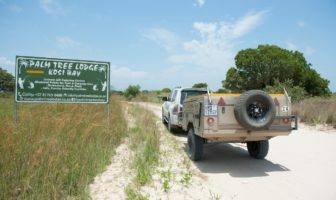 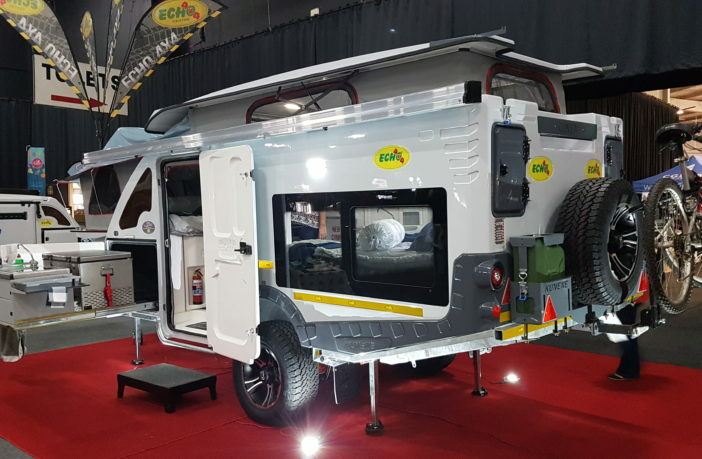 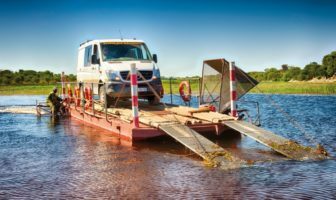 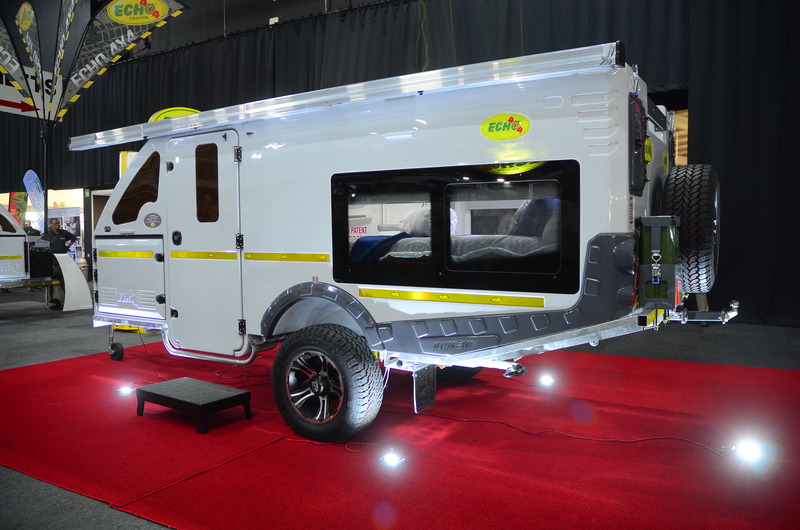 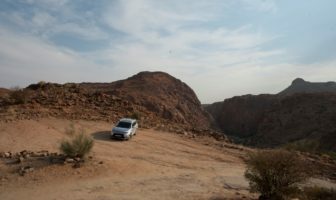 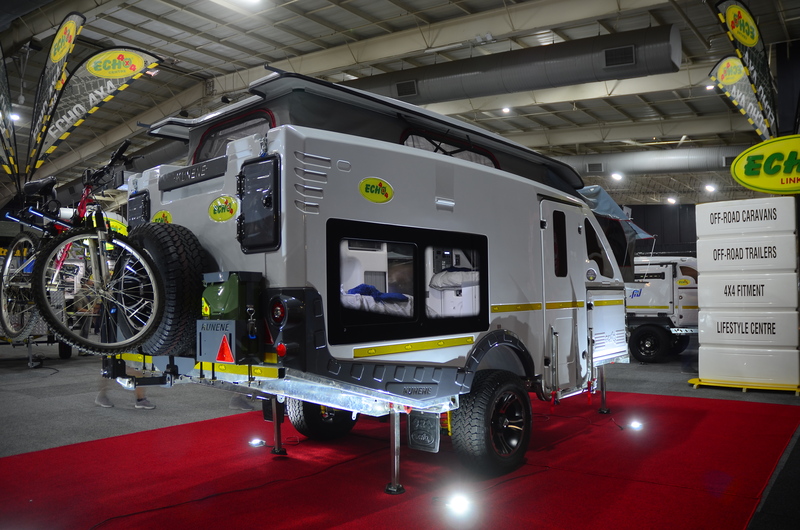 Echo 4×4 owner Willie Grobler says the Kunene was designed to be the ideal off-road caravan for every adventure, providing a practical camping experience without compromising comfort. 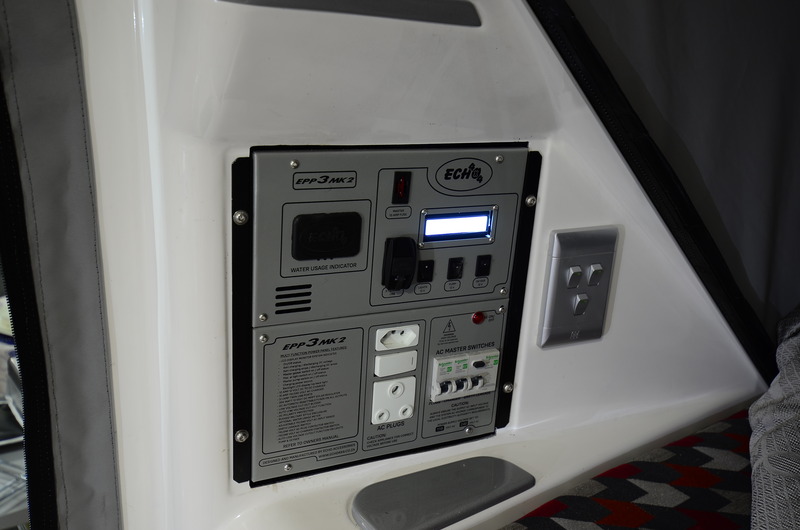 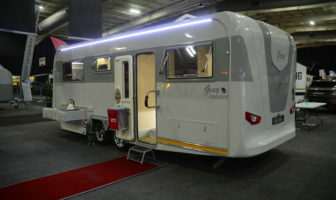 The Kunene is the biggest caravan in Echo’s stable, measuring 6 015mm (L) x 2 000mm (W) and 2 225mm (H). 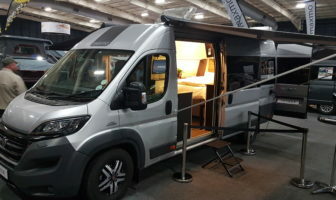 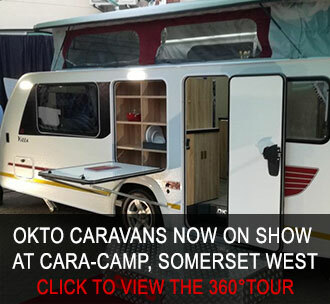 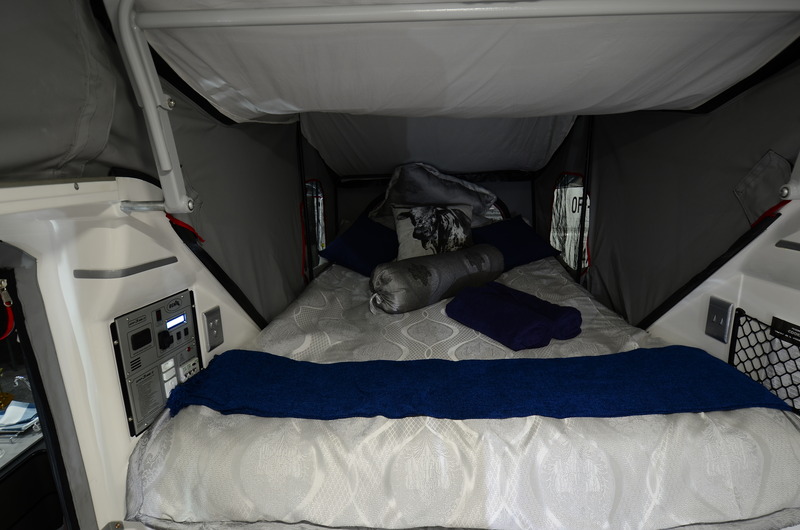 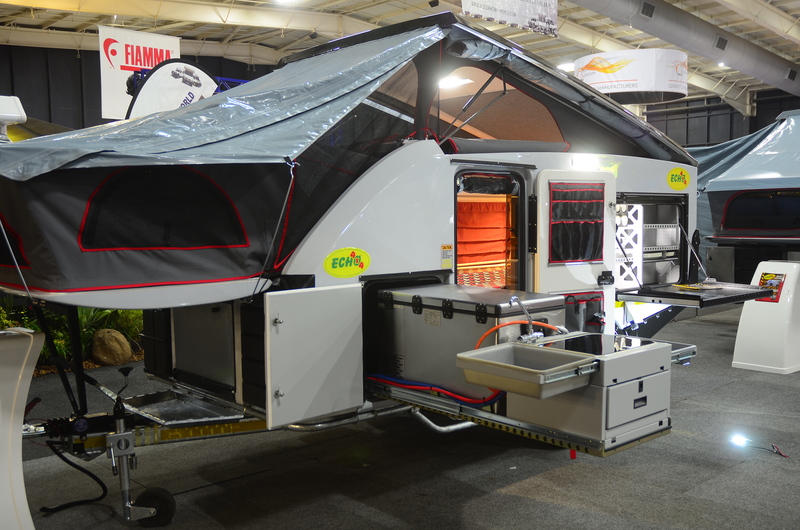 This allows for a spacious interior, with an extra-length bed on a fold-down over the nose (the front tent comes with extra headroom and large ventilated windows), as well as an “island” bed at the rear (access only from one side and the foot of the bed). 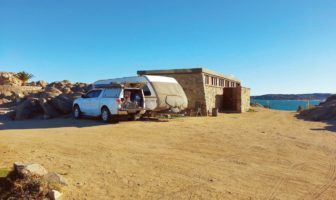 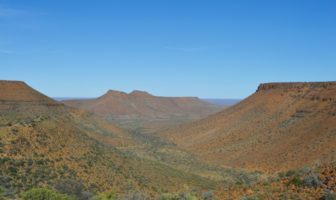 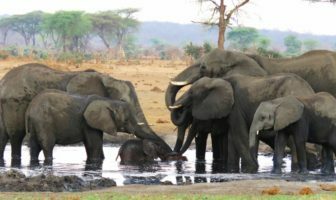 What really gets a big thumbs up from us (and surely from other caravanners) is the Kunene’s incredible payload. 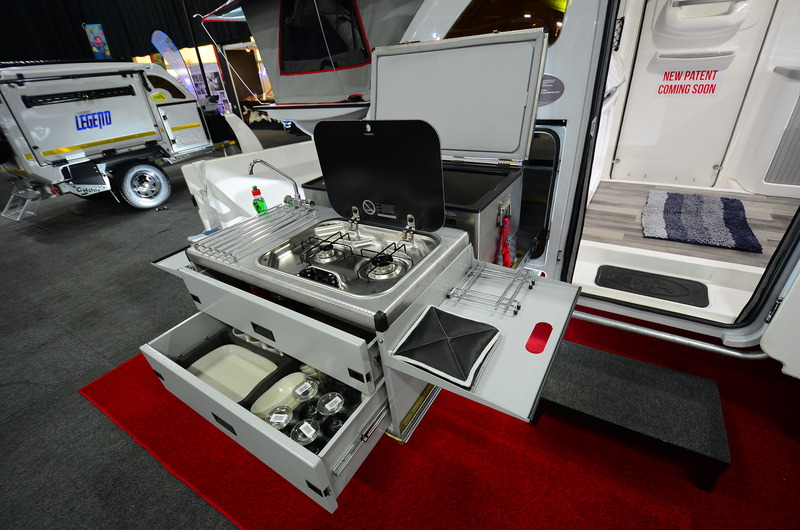 With a Tare of 1 280 kg and GVM of 2 500 kg, this leaves us with 1 220 kg of packing weight. 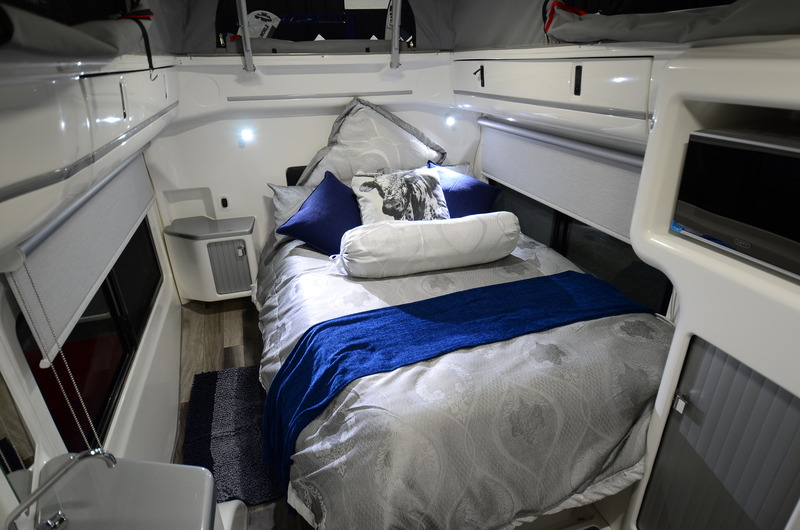 The front bed has a patented storage area underneath, including a nifty space where your folding table is stored.In the space between the two beds is a cupboard on one side and a small basin on the other. 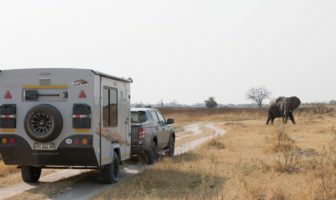 Directly across from the entrance (an extra-large door on the passenger side) is another door through which a the outside bathroom will be fitted. 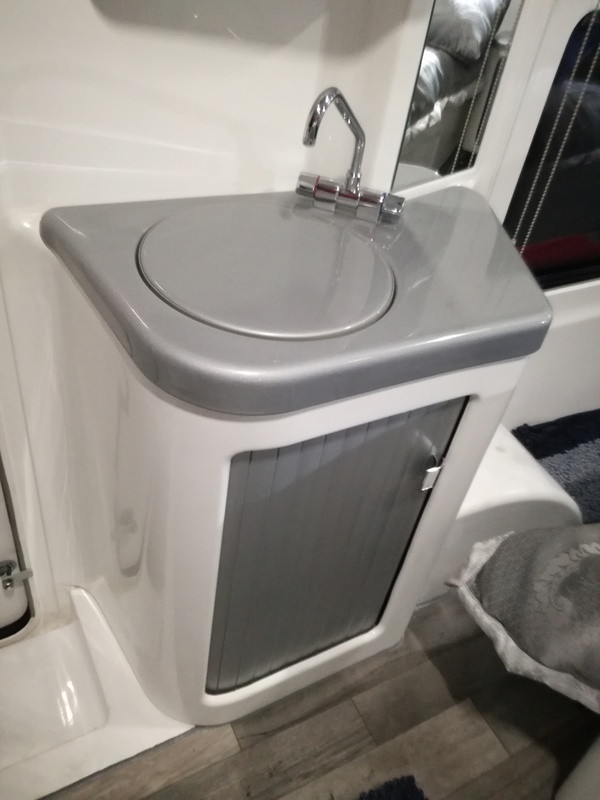 The bathroom was has not yet been revealed. 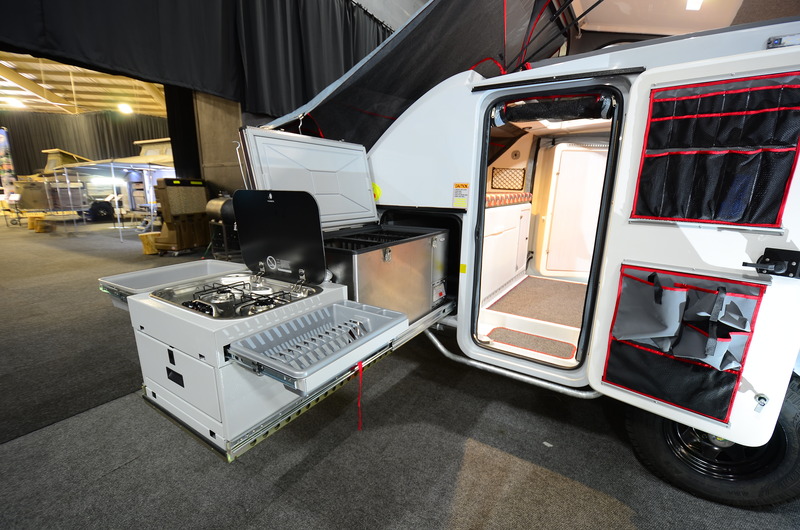 On the outside to the left of the entrance is a slide-out kitchen unit and fridge/freezer, and to the right of the door is a fold-down hatch that creates a work surface, and packing space. 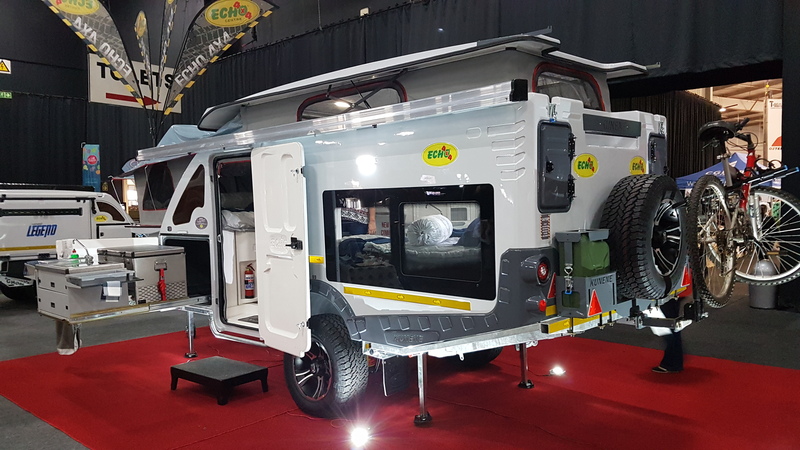 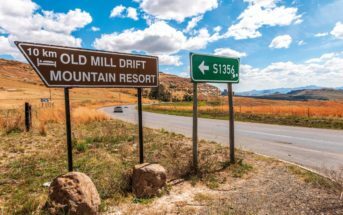 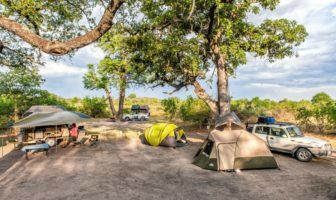 It’s clear to see the Kunene was built for proper off-road adventures, with Echo’s tried and tested independent suspension and massive ground clearance, and the angled rear design allowing for a good departing angle. 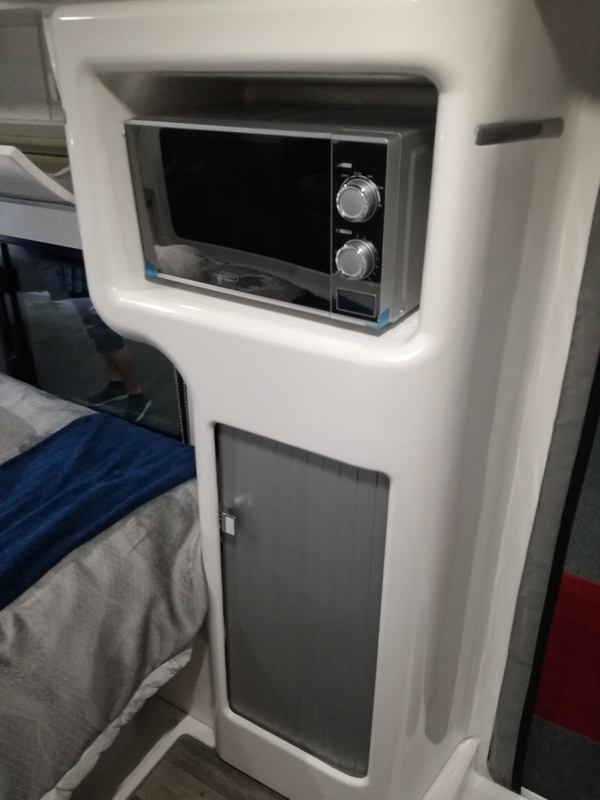 The insulated side paneling ensures protection against heat and cold – although this would not be as effective with the front bedroom folded open. 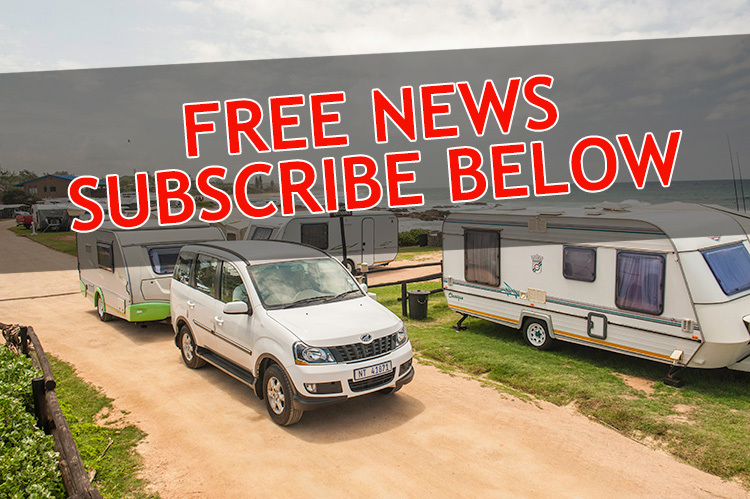 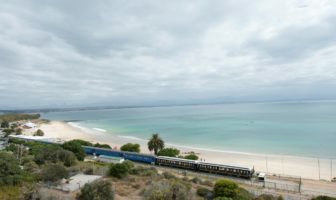 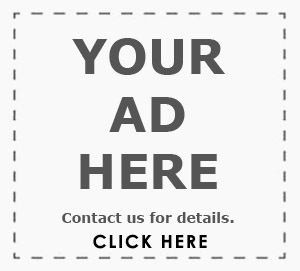 For a video of the Kunene launch, click HERE.